The Los Angeles Dodgers signs outfielder AJ Pollock to a 4-year deal worth $55 million. The Dodgers cleared out some space in their outfield by sending Puig and Kemp (plus Alex Wood and Kyle Farmer) to the Reds which was in essence a dump-off (getting Homer Bailey and two prospects in return, before releasing Bailey). Figuring some combination of Pederson, Bellinger, Taylor, Hernandez and Verdugo would act as their outfield. This trade however should see Pollock become an everyday starting outfielder in LA. For the Dodgers, it’s a nice problem to have, trying to find playing time for everyone. 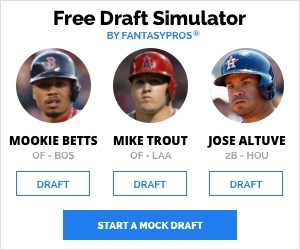 For us fantasy fans, it has the potential to be a nightmare. 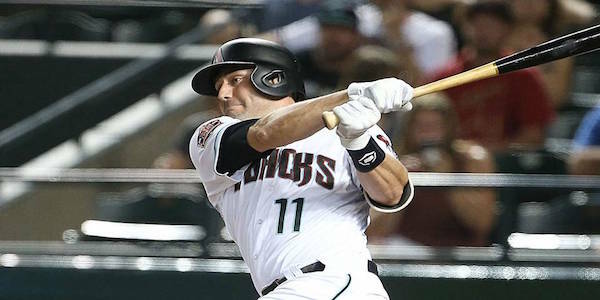 Let’s first look at AJ Pollock; the oft injured outfielder stays in the NL West which should help with his familiarity of surroundings and pitchers. It’s that oft injured moniker which has prevented Pollock from reaching superstar heights, reflected in his contract. In the last five seasons, Pollock has only managed to play 469 games (out of a possible 810) and 225 games in the last three years (out of a possible 486) since his 2015 breakout. It’s that 2015 everyone has been chasing in drafts since, although the further in the rear-view mirror it is, the harder it will be to come close to a repeat. 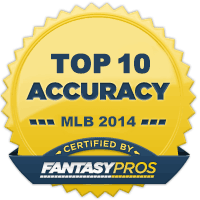 Pollock currently sports an ADP of 116th on NFBC (after 14 total drafts), which is 34th among outfielders. Interestingly, before the Dodgers signed him, Pollock’s ADP was 117th and 112th since, remaining as the 34th outfielder. That’s very symptomatic of the fact that his landing spot was never going to be a big factor in his value. His value entirely depends on his ability to stay healthy. Over the course of his career in Arizona, Pollock played 637 MLB games. That translates to four seasons (159 games a year) and extrapolating his career numbers, that would offer a 19 home run, 23 stolen base year with a .281 average. Still somewhat short of his 2015 where he hit .315, 20 homers and had 39 stolen bases. Again, this is entirely dependent on health but 18-20 home runs are in play and around a .280 batting average is more than reasonable to expect. 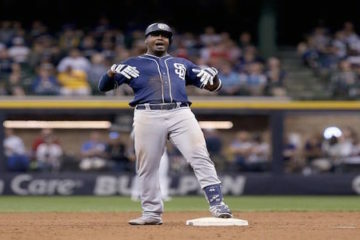 Granted, his new home isn’t as hitter friendly but his new lineup should help mitigate that with some more runs and RBIs. The big question will be those stolen bases. Last year, Puig led the Dodgers with 16 steals and the only other player who managed double digits for LA was Bellinger. Will the Dodgers let Pollock run? Sure. How much so? Nobody knows. There’s a real possibility Pollock is let loose and tops 30 stolen bases, yet there’s another real threat he doesn’t break double digits. In these stolen base starved times, taking a gamble on the high, when you’ve got a nice floor with the homers, batting average and even 10 steals seems right. By the point in your draft Pollock is in play, if you can absorb the risk of him missing two months, he’s a very nice OF3/4 with a very real chance of a 20/20 season. That being said, I wouldn’t be running out to grab him any earlier than the 9th round. How lucky do you feel? The remaining Dodgers lineup isn’t affected too much. Pederson can’t hit lefties so should be a strict platoon player. He does still offer plenty of value however, hitting 25 homers in less than 400 at-bats and it’s probably a good thing he won’t face lefties often. Given Pederson is the 81st outfielder being drafted on NFBC (ADP of 349), I’d be more than happy nabbing him late if I play in daily roster moves and can sit him against lefties. Bellinger will likely settle in as the regular first baseman, although expect him to see time in the outfield. Taylor and Verdugo will probably be the biggest losers from the signing, although one injury should open the door to more playing time and a hot start to the year should also see them play regularly. Taylor’s versatility will see him least affected and will still be drafted in the last third of drafts with Verdugo relegated to a late round flier. All in all, this is a nice move for the Dodgers and although it isn’t a huge boost for those drafting Pollock, the fact he’s found a home before Spring Training and has a solid supporting cast around him will only see his ADP move nearer the 100 mark.